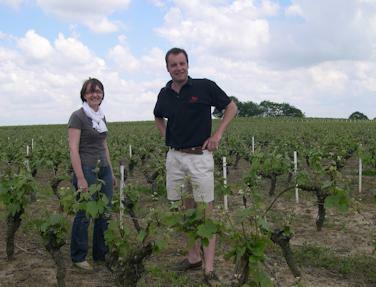 Éric Chevalier is a rising star in the Nantais of the Loire Valley. For ten years, he sourced fruit for a large négociant in the Touraine. In 2005, he decided to return to his hometown of Saint-Philbert de Grandlieu, just southwest of Nantes, and ended up taking over the family domaine, Domaine de l'Aujardière, the next year. His father, a talented vigneron who did not bottle much of his wines and was well-known as a high-quality source of bulk wine, had stopped working the vineyards and the vines were either going to have to be pulled up and replanted, or sold. Éric was anything but enthusiastic. Little by little his passion grew, and today he is proud to be the fourth generation to farm the domaine. He is also proud to be bottling more and more of the family's production himself. Éric sustainably farms twenty-five hectares of vines, producing wines of great character and finesse. He found his future in his family's past.